Wyeth Nutrition And DSTC hail Philippine Robotics Team for Olympiad Win, where the latter bagged 62 medals during the 17th International Robotics Olympiad held South Korea. Just recently, Wyeth Nutrition, a leader in advanced nutrition science and a partner of the Philippine Olympiad Team, together with Data Science and Technology Corporation spearheaded the awarding and recognition of the Philippine Robotics Team in ceremonies held at the Sofitel Philippine Plaza Manila. 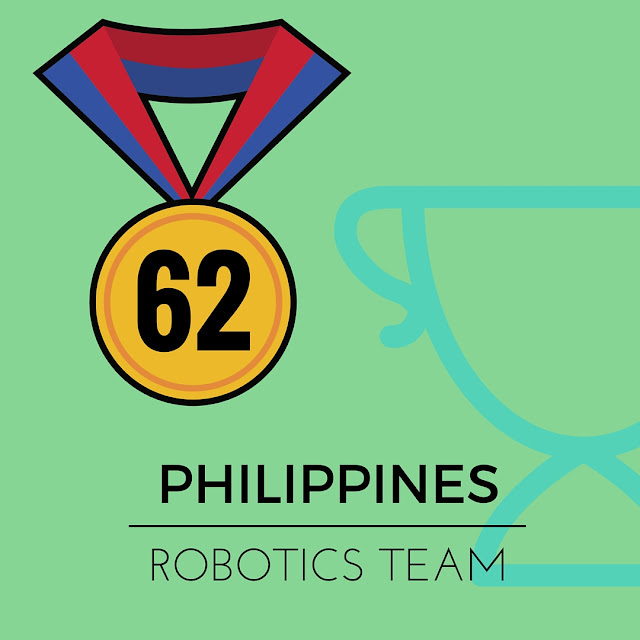 The Philippine Robotics Team was recognized for winning 62 medals at the 17th International Robotics Olympiad in Bucheon, South Korea in December last year. Prior to the awarding, heads of the private and government sectors who supported the Team have delivered their individual speech in honor of them. (Second row from left) Data Science and Technology Corporation President Anthony Gabitan, Colegio De San Juan De Letran Robotics Team Head Nestor Sienes and Wyeth Nutrition Communications Head Michelle. 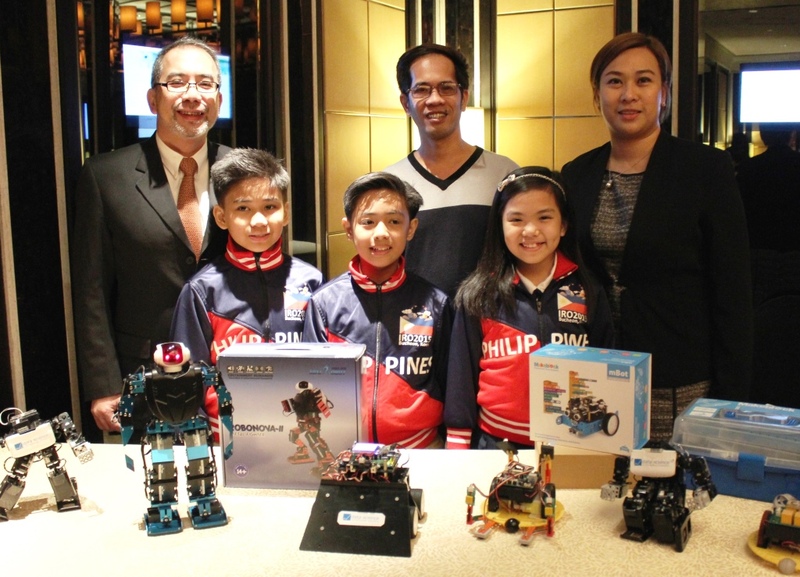 (First row from left) International Robotics Olympiad silver medalists and Wyeth Nutrition Kid Innovators awardees Vince Jhanzel Sulit, Ezekiel Godwin Torres, and Zandra Pauline Chavez. Department of Education - National Science and Technology Fair Chairman Joseph Jacob remarked that the Philippines has once again demonstrated its mettle with the Philippine delegation's winning streak. Head of Data Science and Technology Corporation, Mr. Anthony Gabitan also acknowledged the glorious feat of the Team. The awarding were presented by Wyeth Nutrition Communications Head Anne Michelle Pador together with DSTC Head, Mr. Gabitan who remained onstage for the photo ops of each batch of winners. The Philippine Robotics Team Lead Coach, Mr. Melvin Matulac also graced the occasion. Wyeth Nutrition, an advocate of sparking the spirit of innovation among kids, also conferred its coveted Wyeth Nutrition Kid Innovator Special Award to Colegio De San Juan De Letran students Zandra Pauline Chavez, Vince Jhanzel Sulit and Ezekiel Godwin Torres. This citation comes after its recent launch of the nationwide Search for the Wyeth Nutrition Kid Innovators to help promote and nurture Filipino children's love for science and passion for innovation. Wyeth Nutrition Innovations Head Juan Miguel Alvarez shared the importance of keeping the wonder and awe in kids alive, as he cited the role of innovation in nation building. Meanwhile, Wyeth Nutrition Communications Head Anne Michelle Pador proudly recognized the amazing ability of these kid innovators to make a difference in the field of science and technology, with the combined support of parents, educators, public and private sectors. Silver medalist and kid innovator Zandra Pauline Chavez spoke on behalf of the Philippine Robotics Team, thanking their parents, schools, the government, CSJL coach Nestor Sienes, and the private sector for the delegation's accomplishments. "We look forward to reaching greater heights in innovation and win big in the next Olympiad with your support," she said. "Our country has enormous talents waiting to be tapped and it takes all of us to get more kids and youth to join us." A series of activities are set to follow in further empowering the Philippine Team and enjoining other kids and youth and schools to participate. The event was vivaciously hosted by Ms. Gelli Victor.